Big wheels keep on turning. The Tons of Trucks Coloring and Activity Book is perfect for your little trucker or construction worker. 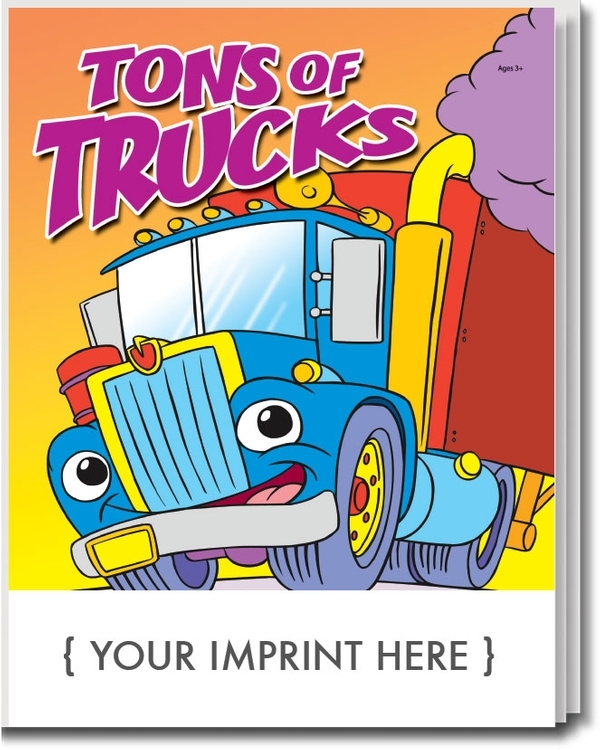 With a full color cover, and 16 pages of text that contain games and activities about big rig tractor trailers and construction equipment, kids will want to work overtime playing with this cool coloring book. Recommended for children ages 3 and up. Ideal for auto dealerships, construction and trucking companies. Don't Forget the Crayons! Make it Easy -- Make it a Fun Pack: any coloring book or activity pad conveniently packaged with a 4-pack of crayons in a sealed poly bag. No assembly required.